Recently, I headed to Dartmouth to visit Andy Pollock and see how things were rolling at Silverbrook Farm now that Spring had arrived. For those regular readers, you may already be familiar with last year’s coverage of Andy and his farm. 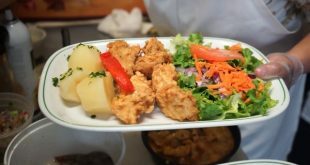 I visited Silverbrook Farm last year and my brother wrote about the CSA program that they offer. I was curious to see if there were any new developments and wanted to find out if last year was a successful one for the farm. Born a city slicker, I also wanted to learn a few things. 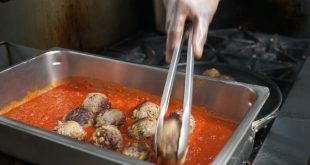 Andy had stressed in previous conversations the importance of being more intimate with your food, in the sense of understanding where it came from and how it was produced. He felt that people and society in general would benefit from this connection. The terms CSA means community supported agriculture. The idea is to have a sense of that community when it comes to the farm. To have a sense of pride that I am helping support sustainability. To feel connected. I have been to the farm numerous times to pick up the food shares. Andy – and all the hands at the farm – are always warm in their welcome. They NEVER seem rushed in spite of the common knowledge that a farm’s duties are never done. I know everyone there has a lot on their plate and incredibly busy, but they all have time for you. This isn’t something you can force people to do. You can’t make it part of a job description. It has to trickle down. Spend a minute with Andy and his relaxed, jovial, and warm disposition will illustrate the source of this attitude. Having grown up in an Italian household, I understand this connection with food. Unlike in some households (perhaps not yours! ), and what is often common in the American ethos, the women aren’t the only ones responsible for putting food on the table. There is no ignorant, sexist “Get in the kitchen where you belong and make me a sammich.” commentary. Every man, women and child in the household contribute to the meal. Chopping, washing, stirring and serving. EVERYONE contributes. It serves as a sort of clever device to get everyone together. To find out what is going on in each other’s lives, or how the day went. When you sat down, there was a sense of community. An immense pride knowing that WE made this. This is about us. I get the same feeling from Andy but in a larger, encompassing sphere. Community in this sense includes the entire local region and your immediate family. To go further than farm and family, Andy’s sense of community embraces seven other local farms including, Eva’s Garden, Noquechoke Orchards, Mendes Tupelo Hill Farm, Sylvan Nursery, Matte’s Orchards, Quonset View and Hillside Farm. Not exactly the cutthroat business mentality of the modern world! This allows Andy the ability to offer shareholders a larger variety and helps agriculture in the region succeed period. Their success means a more robust local economy in terms of cash flow, taxes, and employees. The latter which Andy was proud to state that recent success has allowed him to hire more of. The interdependence of these farms forms a solid bond that translates into the ability to cover each other’s behinds. If one farm’s crop under-performs, is struck by illness, or other malady, someone within that circle can fill in. All lovey-dovey, right? Practically speaking this means, the customer or shareholder is virtually guaranteed to get a bountiful harvest of quality produce and a much bigger bang for his or her buck. With enough to go around, there won’t be any price gouging here! 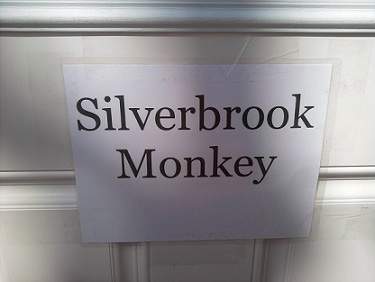 Is the Silverbrook Monkey real? When I arrived at the farm, I noticed straight away a lot of progress in the form of some new buildings. Five new greenhouses to be exact. There was some razing and burning going on. The same goat and chickens were bleating and clucking. Excavators were humming. Farmhands were busy running about pruning, weeding, and generally toiling. The windmill that provides a third of the farm’s power was going. There was certainly some hustle and bustle. Not surprisingly everyone remembered my name. This may be due in part to my Cro-Magnon like face, and/or because everyone there actually makes a point to do so. It had been a sad, lonely winter without my CSA and was happy to be re-connecting! Last year, I had learned about the existence of some new vegetables, explored some new recipes, and overall improved my health from eating more of them. At 42 years of age, in a family with congenital hypertension, and an 11 year old daughter that is the world to me, eating healthier, particularly more vegetables is something that has become very important. First things first, though. Before getting to the mouth watering bits, I genuinely wanted to get an update. I wanted to know what the story was with the new buildings. Andy immediately said that they were freshly built and a way to not only protect the sprouts and maturing vegetables and herbs, but the warmer climate meant growing year round. He was considering placing heating mats – like he has in a variety of places throughout the farm under the soil, to really insure year-round crops. Each greenhouse had a door with a sign identifying the building. Curiously one was named the “Silverbrook Monkey” which was created when a farmhand had supposedly seen a monkey like creature running about. Perhaps the Chupacabra is acclimatizing to colder weather? Hmmm. Is the Silverbrook Monkey a Chupacabra? The reason for the greenhouses was because Andy said things were going fantastically and the expansion was a natural product of that. Pardon the pun. He was excited that Silverbrook was now delivering CSAs to four locations within Southcoast Health Systems. This includes St. Luke’s, Charlton Memorial, and Tobey hospitals. That means not only can public shareholders pick up at the hospital, but the employees and patients as well! That’s pretty darn progressive for a farm and for the healthcare facilities. Kudos to Southcoast Health System for providing this to their employees. Nearby the greenhouses was one of those old stone walls that early settlers put up as they cleared the land. The surplus of boulders were utilized to build these walls to serve as territorial borders, contain livestock, and other functions. Andy pointed out the the wall was going to be removed to make way for a road side farm stand. 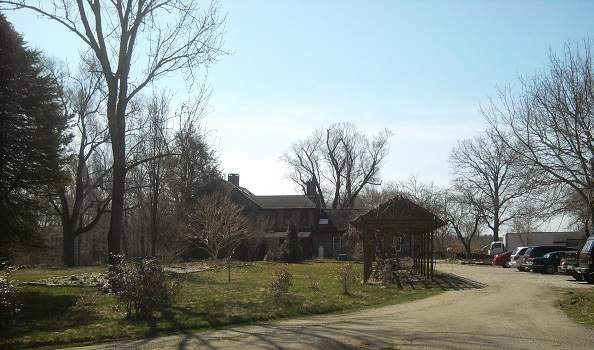 Towards the rear of the main farm house – near the brook – there is a small building which has served as the farmstand, which Jaison manned last year. A roadside farmstand has an appeal all its own. It also allows Silverbrook to offer locals the convenience of simply pulling over, grabbing some produce and be back on the road in moments. I noticed an excavator was clearing some land and when asked about it, Andy mentioned that this was being done to make way for solar panels which would produce 125% of the farm’s needs and make them self-sufficient. What comes in a CSA? 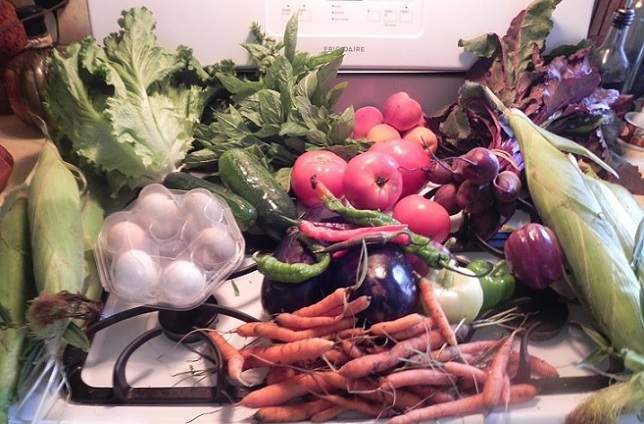 So what are some of the items, you may find in the farmstand(s) or within your CSA share? The standards are of course there: corn, potatoes, tomatoes, carrots, string beans, eggplant, grapes, peaches, peas always a few varieties of salad greens, cucumbers, apples, peppers and more. Some of the “lesser” common items you may find will be leeks, herbs, turnips, a variety of berries, pea tendrils, and my personal favorite is coming across the many heirloom varietals (ever seen a purple pepper?) that are offered. These fruits and vegetables are just the tip of the iceberg in what is available. The best part of all is that if you want more of something you can purchase it right there. Kids love apples? Do you want more tomatoes and basil to make red sauce? No problem. 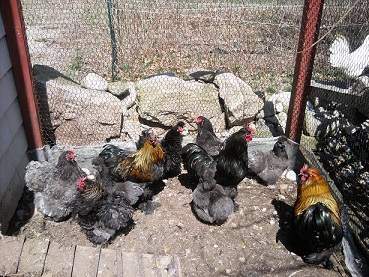 In addition, there are eggs, Shiitake mushrooms which are grown right on the farm, jams that are also made there, locally made Olive Oil, mustards, grass-fed beef, and more, more, more. Lobster may even be there! All this comes with recipes online, so if you need ideas or are unsure how to utilize a vegetable, there’s no worry. Important to many today is COST and VALUE. Is all this going to cost an arm and a leg? How far will a share stretch? I often walk away from the farm with BOTH hands holding 2-3 bags of produce that last me, my girlfriend and 11 year old daughter THROUGH the next pick up. 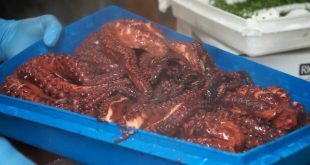 Of course, it is not the only food we eat, and we do occasionally eat out and purchase some food at the supermarket. Often when it is time to pick up the next share, I still have some in my fridge!In terms of value, I would estimate that the share that I walk away with would cost no less than $60-$70. Silverbrook estimates that a full share breaks down to $39 each week. While the crops and their yield to your plate is the farm’s central focus they also have a few rather unusual or unique programs. Going back to the concept of being closer with your food, Andy has a program that takes a child from seed to plate. Imagine the sense of pride (and fun) your child will have when he nurtures a seed from a sprout, to a fully ripened vegetable, then learns to prep and actually cook it! Another program is called Wwoofing or World Wide Opportunities On Farms. In essence, from May through October you can live in a room in the main farmhouse as a volunteer. One can also participate in the Silverbrook Farm Apprentice Program where you “…will actively participate in the full year farm cycle, from planning and implementation to harvesting, safely controlling pests and preparing fields for winter…and be exposed to the science, economics and philosophy of sustainable farming as well as the politics and process of starting and managing a farmers market or CSA.” There are also employment opportunities as a Farmer’s Market Associate, Field Worker, or Farm Assistant. All of these programs and opportunities can be found here. Sweetest, juiciest Strawberries I’ve had in my life! Don’t believe the common misconception that a farmer is a yokel and a bit behind the rest of us city slickers. 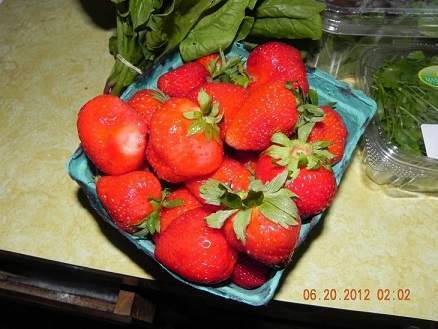 Silverbrook has a Facebook presence and a website, which allows you to purchase your CSA share online! 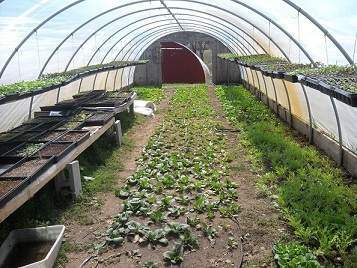 If you are not interested in being a CSA shareholder, Silverbrook travels and has a number of Farmer’s Markets. The schedule and locations can be found here. The CSA season starts on June 17 and ends October 25. Shares can be purchased as half or full and can be paid in installments (three) or up front. When you hold a share with Silverbrook, you do so much more than create a healthier lifestyle for you and your family. You support the local economy instead of a supermarket chain which purchases some of their product internationally. You provide jobs to local residents. You KEEP the farm where it is…which means the land is not sold and turned into condos, a supermarket, or plaza. The farm beautifies the area. What Andy has going on at Silverbrook is proof that if you have a genuine passion for something, pour your heart and soul into it, and back it up with a studious work ethic you will succeed. 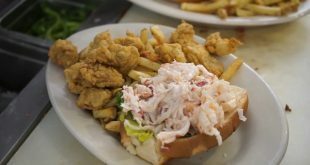 The local food movement is kind of late here in the Southcoast so I’m sure it will catch on and we will have more options of local places that serve in season food, including the fish! I lived in Durham NC for 5 years and the local food movement was in full throttle there…Of course they had food for more of the year but we’ll get there! i work at st luke’s and will be participating in the csa that is being offered to us for the first time this year since i’m on the same health journey as you. how very convenient and fortunate…not that i couldn’t go there or do this myself, it’s just that i’m overhauling my yard and will not be able to enjoy planting or harvesting foodstuffs until next year…and i usually forget to head to the market stalls downtown in the summer. not sure of the delivery schedule, but i don’t think we’ll be able to eat everything so, most likely, will give some items to my mom and brother…or maybe i’ll have more back yard cookouts. but i do hope silver springs inserts some tried and true -good- recipes in the packages so i can post the results on their facebook page. overall, i’m excited and looking forward to this year’s bounty. thanks for the article. stay healthy. If you are looking for more recipes, the Silverbrook website and blog has lots! Best of luck on your journey to improved health!